Tony was born in Salford (Greater Manchester). After school Tony worked in various occupations before completing an Access course and going to University as a mature student. After his undergraduate studies he completed an MA in Cultural Studies and a PhD on older urban residents, fear of crime and cultural strategies employed by this group to try to manage perceptions of risk and fear of criminal victimisation. While completing his postgraduate studies Tony worked as a tutor in FE and Adult Education (teaching A Levels, Access modules and related courses). He also worked as a conference organiser and held various temporary research posts. Tony obtained his first lectureship (in Criminology and Sociology at Manchester Metropolitan University) in 1998. He joined Keele in 2002. He is a Senior lecturer in Criminology at Keele and Programme Director for Criminology. 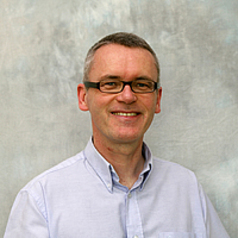 He works with Police and other criminal justice and local government partners to co-produce theoretically sophisticated and challenging research that is of direct benefit to non-academic partners, especially in terms of improving multi-agency partnership working, developing effective pathways to earliest help and reducing demand for acute service interventions by developing effective early interventions and support.